Summer is finally kicking into full steam and we have some fun summer looks we’re loving. We’re a bit obsessed with cherry prints. Mules are the new sandals. 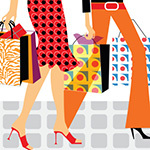 And dust off those straw bags or buy yourself a cute new one. Here’s a little summer fun inspiration. 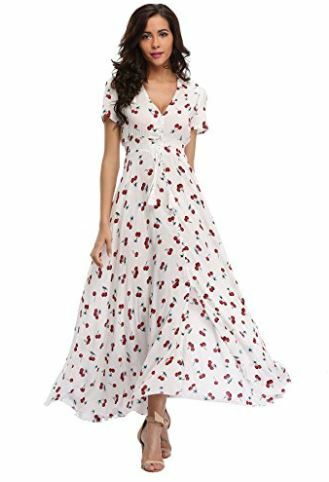 Cherry prints are big this season and you’ll find them on everythibng. We love this adorable casual and comfy dress that’s perfect for all kinds of summer events and outings. And the price is right. $21. Amazon. 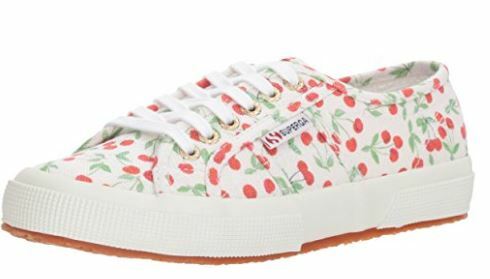 Whether you’re out on a day of errands in skinny jeans, or barbecuing in a fun floral frock, these fruity classics will keep you looking fresh all season. About $60 @ Amazon. 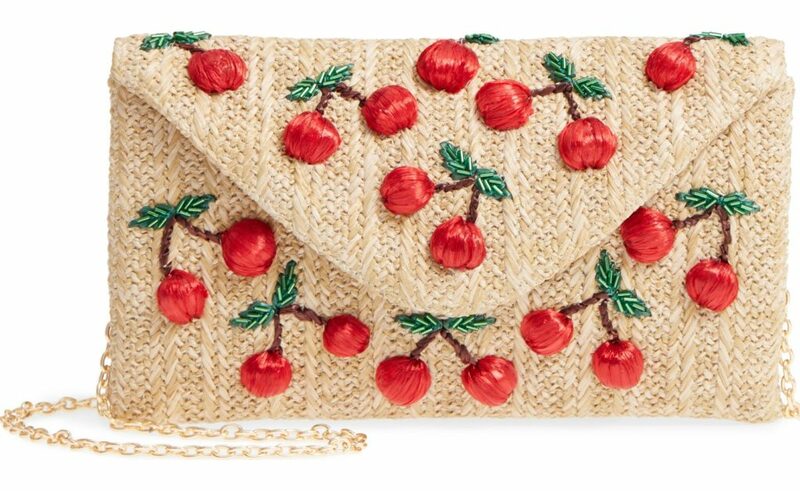 Embroidered cherries add playful dimension to a compact envelope clutch fashioned from summery straw and furnished with an optional chain strap. $99. Nordstrom. Mules are back in a big way, especially the flat loafer mule. 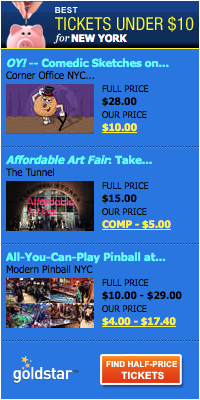 But here a few ideas for any occasion. 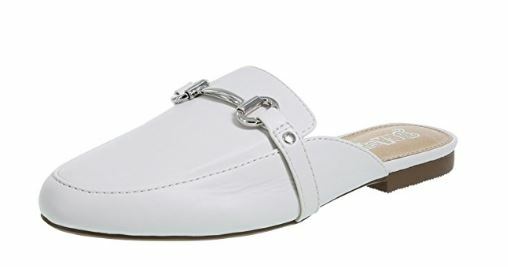 A simple flat white mule, with a smooth faux leather mule construction with hardware detail, soft lining, padded footbed, 3/4″ heel. $15. Amazon. 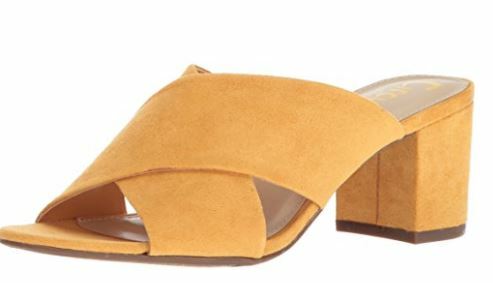 This mules that comes in 8 colors will take you from day to night. 2 ½ inch heel. About $30 @Amazon. A slightly different take on the Esaprille. These are fun and go anywhere. $37. Amazon. 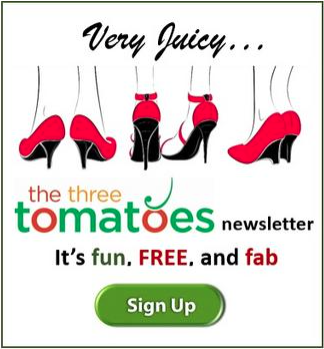 They’re back Tomatoes. And they go with everything. So dig out your old ones or buy a fun new one. 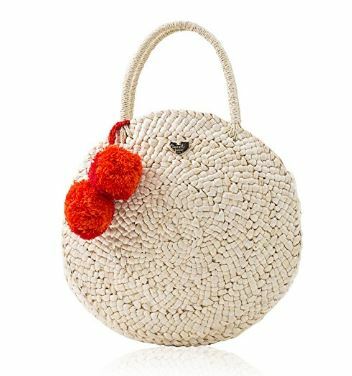 This adorable tote made from woven straw features a pom pom accent. It has a magnetic snap closure and 1 interior zip pocket. Big enough for your cell phone and essentials. $33. Amazon. 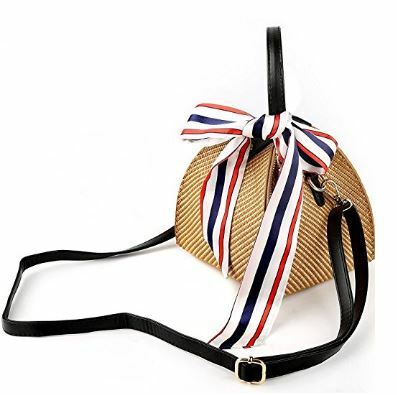 Love the red, white, and blue in this adorable summer bag. It’s roomy enough for all your essentials. And comes with an option strap too. $26. Amazon. 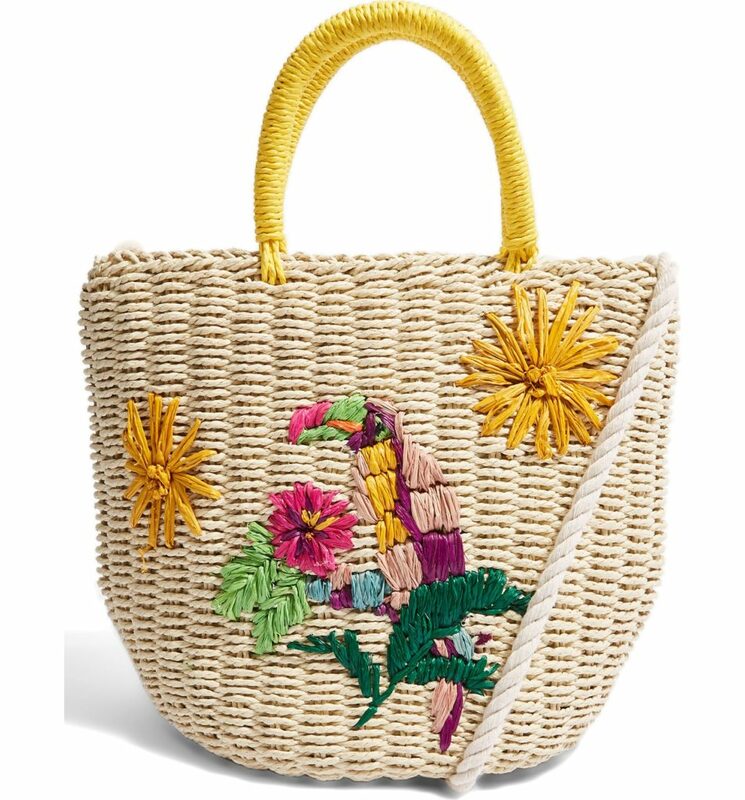 A vibrant tropical motif gives vacation-ready charm to this lively straw tote. Comes with a shoulder strap. $50. 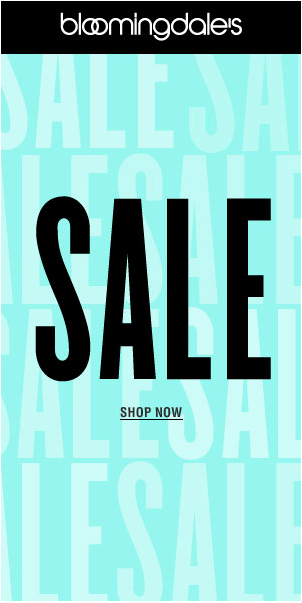 Nordstrom.